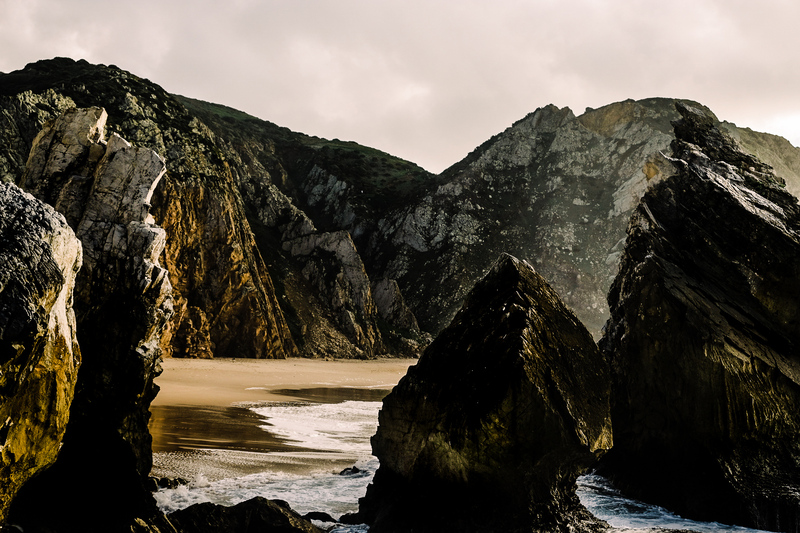 Julia Mattis is a student at the The Ohio State University and an ISA Featured Photo Blogger. She is currently studying abroad with ISA in Barcelona, Spain. 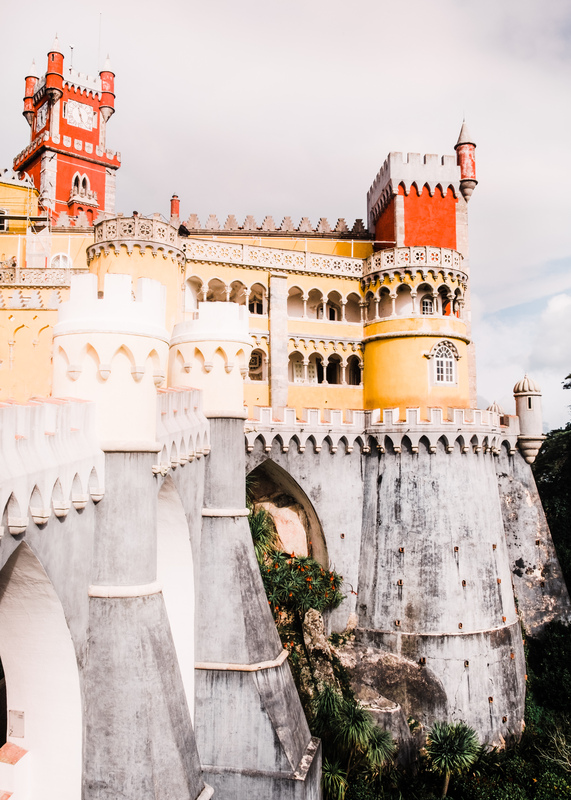 Originally, Pena Palace was a monastery- housing about 18 monks- but after being severely damaged by lightning and the Great Lisbon Earthquake of 1755 it was commissioned into a summer palace for Portuguese royalty, specifically King Ferdinand II during the 19th century. 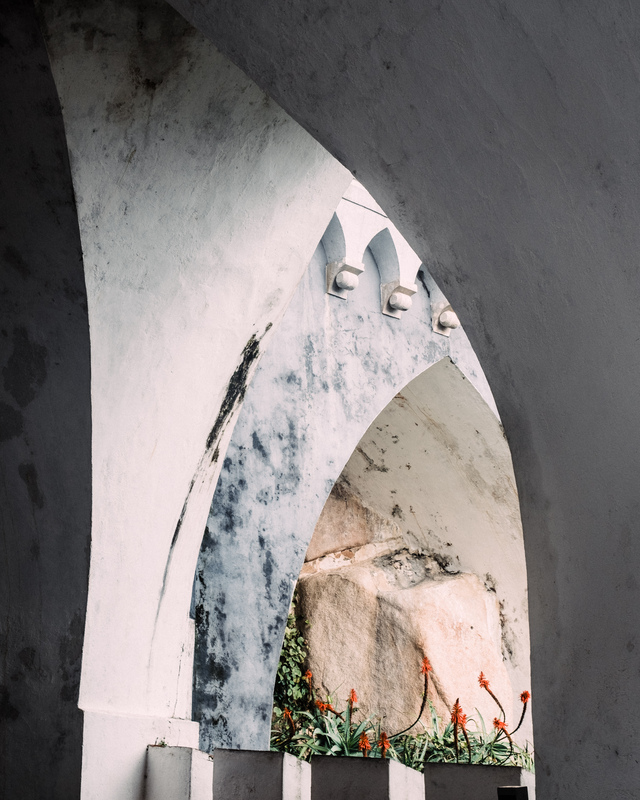 Intricate Romantic style details, Moorish style accents and colorful tile patterns decorate the interior and exterior. The castle includes a fantastical garden with over 500 different species of trees. This awe-inspiring castle makes one feel as if they are roaming around a Narnia land made for royalty- it is like nothing I have seen before. 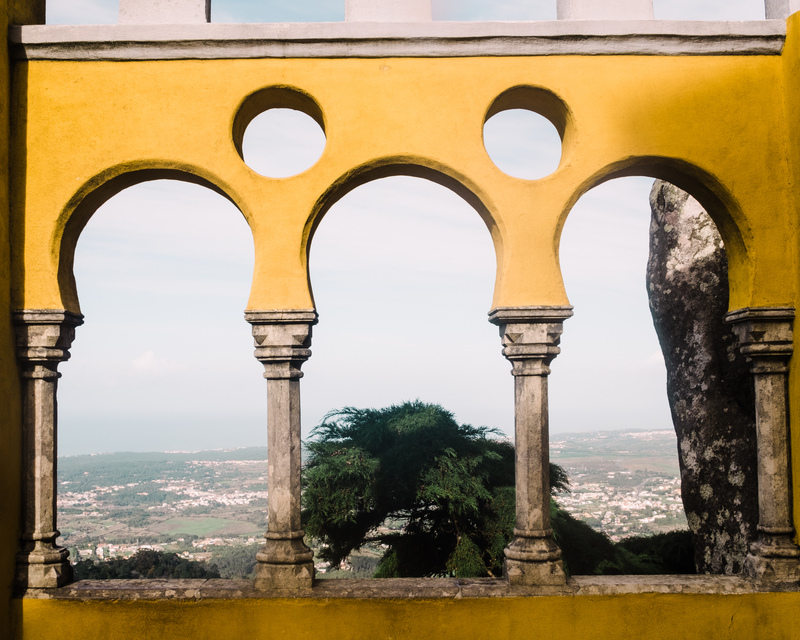 Perhaps that is one of the reasons that Pena Palace was meant to be seen from every angle, and why it is a UNESCO World Heritage Site and considered to be one of the Seven Wonders of Portugal. 1.) 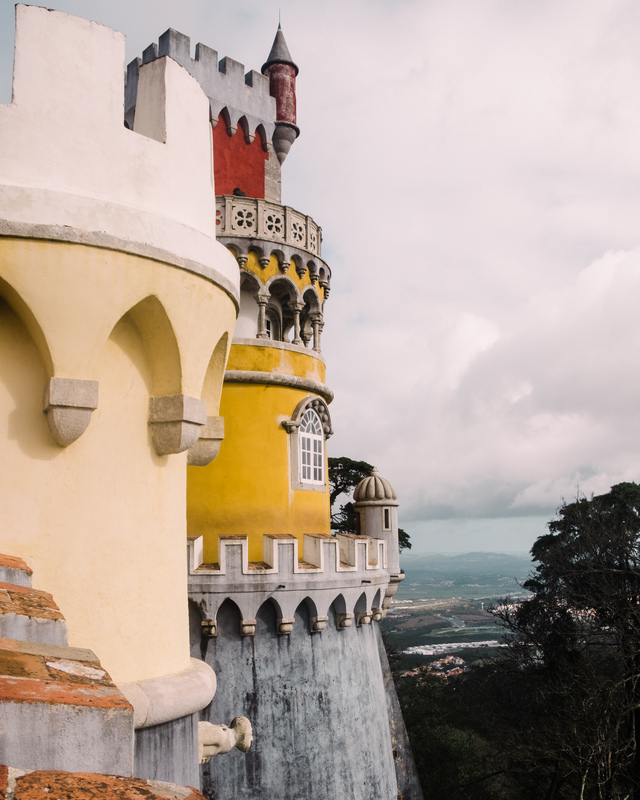 Pena Palace is definitely one of the more popular castles in Sintra, so I recommend to go there first thing in the morning in order to beat the crowds. 2.) People usually think that about 2 hours is enough to explore the castle- maybe take one hour for the palace and another for the gardens, which are not to be missed! 4.) Bring a sweater or windbreaker. It’s a lot colder and windier at the top of the castles. 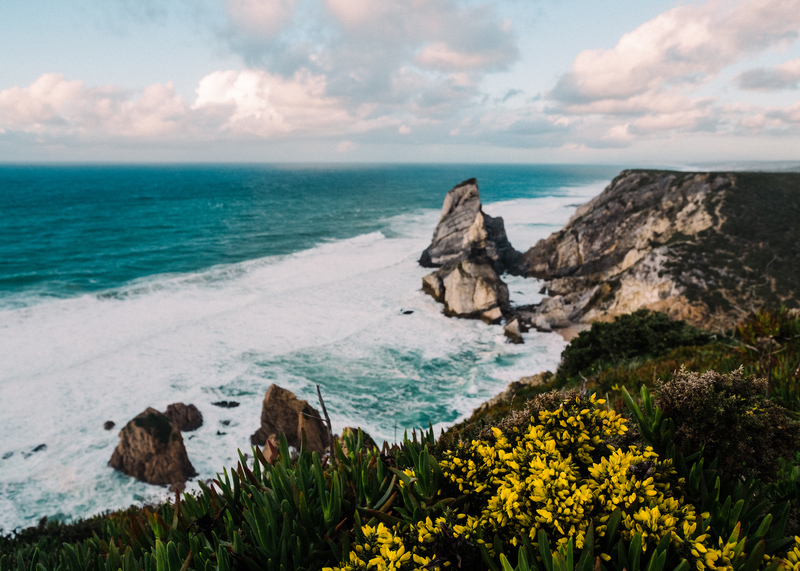 The hike to Praia de Ursa is beyond beautiful, but it is most definitely not recommended for those with a fear of heights. No need to worry because there is a bus that runs to the lighthouse, which offers a perfect vista of the coast. The lighthouse also happened to be our final destination, and since it was past sunset by the time we finished hiking we rode the bus back to the town. 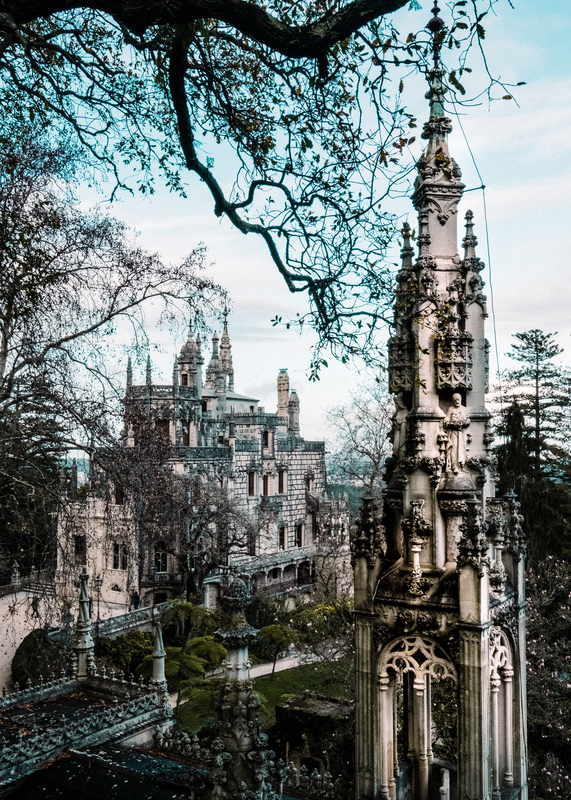 Delve into another fairytale land by exploring Quinta Da Regaleira, where footpaths wriggle through the dense foliage to follies, fountains, grottoes, lakes and underground caverns. 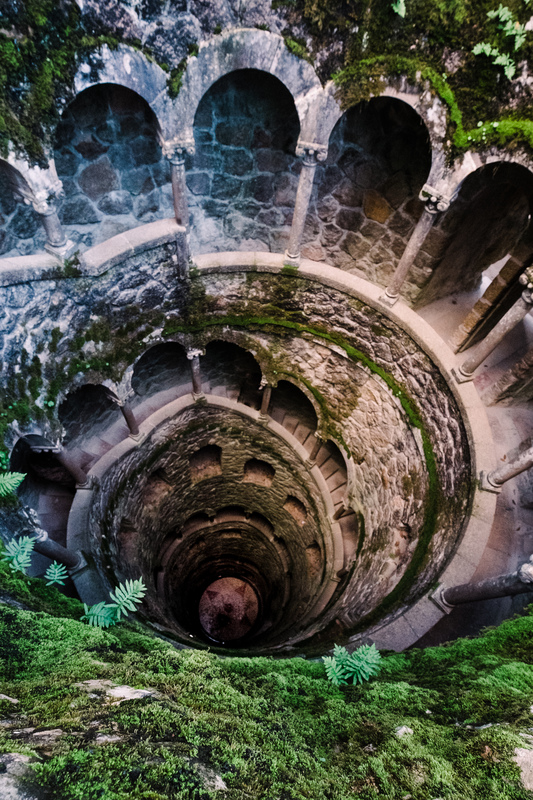 Quinta Da Regaleira was the summer residence of the Carvalho Monteiro family, dreamed up by Italian opera-set designer Luigi Manini under the orders of Brazilian coffee tycoon António Carvalho Monteiro, aka ‘Monteiro dos Milhões’ (‘Moneybags Monteiro’). In June of 1998 the grounds opened for the public. 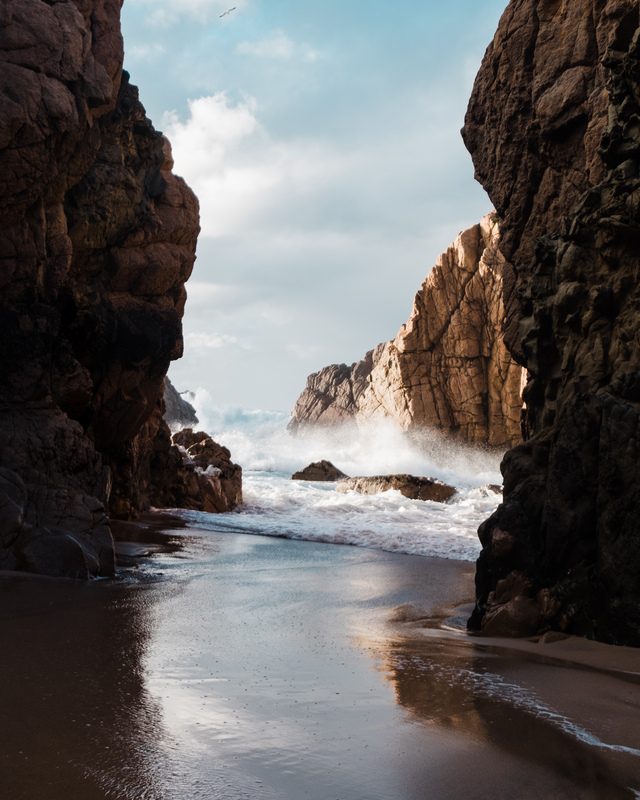 Praia Grande is an amazing beach that is easily accessible. We did not have time to check it out, but I have heard good things about D Bar de Funde. For food, check out Nicolau Café and order the pancakes- they are incredible.